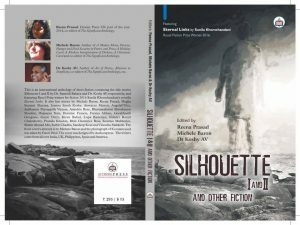 Silhouette I & II And Other Fiction published by Authorspress, edited by Reena Prasad, Michele Baron and Dr. AV Koshy, is one of its own kind of an anthology in the arena of contemporary Indian writing in English. The anthology features the International Reuel prize winning novella ‘Eternal Links’ by Sunila Kamal, ‘The Silhouette’ by Dr. Santosh Bakaya of ‘Ballad of Bapu’ fame, and ‘The Silhouette Sequel’ by Dr. AV Koshy (co-editor), which explains the title of the anthology. The book also consists of a variegated assortment of short stories penned by established and upcoming authors who all happen to be the members of the Facebook literary group ‘The Significant League’. I am also one of the contributors of this anthology. Dr. Santosh Bakaya in the introduction to the book, refers to Neil Gaiman’s words: ”Short stories are tiny windows into other worlds and other minds and other dreams. They are journeys you can make to the far side of the universe and still be back for dinner.” Each of these stories in the collection solidify this quote. There has never been a dull moment while reading it yet. Each story comes with its own journey, its own ascending and descending points, its own rising and climax. The interview below is with two of the anthology’s three editors, Dr. AV Koshy and Michele Baron. Lopa Banerjee: Hello Dr. Koshy, Michele Baron, can you tell me a bit of the background of this compilation of stories, and how this book came into being? Dr. AV Koshy: We ran a NANOWRIMO in our group and Michele chose Sunila’s as the best story. That was the beginning. As we got other Reuel Prize winners like Santosh Bakaya and Pramila Khadun published earlier, both Reena and myself wanted to get her published too. Around the same time Santosh wrote Silhoutte and I felt like writing its sequel and as a result we suddenly had three things we wanted to publish. We felt that was not enough, so we put out a call in our groups and the anthology, not defined with any specific theme, got terrific responses. We put it together and hey presto! We had one more after THE SIGNIFICANT ANTHOLOGY. Sudarshan Kcherry came forward to publish it and we were so grateful to him for the same, so that was how Silhouette I and II and other short fiction came into being. As usual, we tried our best not to compromise on quality. Michele Baron: Many of us, emerging and established authors, readers, and experimenters-of-form, came together in a global Facebook group called The Significant League (named after our pilot offering, ‘The Significant Anthology’, published in 2015). ‘Silhouette I & II’ contains novelettes written during the NANOWRIMO challenge 2016. There is always a lot of energy, a plenitude of inspiration in a young literary group. Our authors were eager to write, full of wonder about what might be possible. Title stories composed by Dr. Santosh Bakaya and Dr. Ampat Koshy form the glue binding this hybrid collection of short fiction, and the editors worked diligently to preserve the authenticity of each contributor’s voice, ensuring a co-creation of works that embraces the many different traditions, aspirations, and world-views of the participating writers. Lopa Banerjee: What inspired you as editors to choose the title of the anthology as ‘Silhouette I&II’? Can you tell the readers a few words about the concept behind the book’s cover illustration, i.e., the silhouette of a man standing on the rocks by the ocean? What does that image signify in terms of the subject-matter/theme of the anthology? Dr. AV Koshy: I will let Michele talk on the powerful cover as she did it mainly but I took Gauri Dixit’s photo of Kovalam which looked beautiful as a backdrop and the final touches were done by Authorspress who always does scintillating covers. He superimposed Michele’s painting on to the beach and rocks for the back. This one was no exception. Michele Baron: The anthology’s title is inspired by the short stories written by Dr. Santosh Bakaya, and Dr. Ampat Koshy. Other works are written on themes chosen by the respective authors. Actually, I painted the image on the cover of Silhouette I & II, although the publisher re-formatted the title/author-info I’d originally written upon it. The image is of a long-coated figure, which might be a man, but the hat and looseness of the coat obscure the gender, age, and even the aspect (coming or going) of the silhouette. The foreground, as well as the background is mottled and shrouded with fog, and was meant to resemble the changing tides of fortune, the uneven, unpredictable landscapes of the journeys each of us must take through life. The light emerges from an undisclosed source, and might be the headlights of a vehicle passing by, or other ray of illumination breaking through the darkness of uncertainty—at once providing visibility, and spotlighting just how intangible the moment of waiting, before immersion in each story of the anthology, each adventure of our own lives, can be. The silhouetted EveryPerson of the cover art might be an ‘Other’, ourselves, or “our hero” — who enables us to safely view life’s various challenges and mysteries through the lenses of each author in the collected volume. The back cover image of the rocks along the ocean at Kovalam was supplied by another of our authors, Gauri Dixit; the rugged beauty of the coastline speaks for itself. Lopa Banerjee: How do you think this anthology can make a difference in the contemporary market of fiction anthologies? Dr. AV Koshy: See, Lopa, frankly today’s world is disappointing as they seem to look for brand names in publishing and already famous names to decide who is good and who is not. This anthology was read by many whom I knew and whom I did not– each person said it is remarkable, it is easily a 4.5 or a 5. But it goes no further. However, we scored a great success when Sudarshan Kcherry sent his catalogue to Library of Congress USA with no recommendations of books published in 2017 and backwards and this was bought by the Library of Congress. I hope it shows someone somewhere has/had the brains to realize just how good it is. Hopefully in libraries they send it to in eight or so countries or where it will be listed in the books, so that someone picks it up, and then it will go further. Truth is, unless academics write of us, no one cares if we don’t get awards or are published by big names or are not available in bookstores. Michele Baron: Our contributors hail from all across the globe, and offer voices ranging from the newly-fledged, as well as highly seasoned and published. Not all of us, as authors, have been encouraged to sing loudly, but in Silhouette I & II, all our contributors face the dragons and uncharted territories of their fiction, and map the journeys for us, in songs and anthems, stories and poems clearly articulated. Such a compendium of international voices, and the tales they tell, is special, and well deserves its place on the marketing shelves of contemporary fiction anthologies. Lopa Banerjee: Your thoughts about the Reuel Fiction Prize winning novella by Sunila Khemchandani Kamal, ‘Eternal Links’? Why did you choose to feature this novella in ‘Silhouette I & II And Other Fiction’, along with the other stories featured in the anthology? What would you say about the novella in terms of theme, characterization and style of narration, with your editors’ lens? Dr. AV Koshy: We try to get Reuel Prize winners and our admins in TSL and others there published and promoted in our own way. This was our prize or gift to her. Instead of money a publication is better, don’t you think, of course due to Sudarshan’s kindness. “Forget all rules, forget all restrictions—as to what ought to be said.. Write for the pleasure of it… No ideas but in things… Invent!” [W.C.Williams’ poem “A Sort of a Song”]. The novella written by 2016 Reuel Prize Winner Sunila Khemchandani Kamal stood out among the entries presented for consideration for Silhouette I & II, but the anthology as a whole is a very strong collection of voices, speaking from experience and imagination, concocted of local idiolect, dialogue, imagery, and invention. It was indeed a challenge to choose from among the great variety of engrossing offerings, and a joy to include so many authors in the anthology itself. Lopa Banerjee: Dr. Koshy, what prompted you to write the ‘The Silhouette Sequel’, taking the cues from Dr. Santosh Bakaya’s dark, sinister thriller ‘The Silhouette’? Do you think such cerebral and creative collaborations in short story writing will go a long way in promoting the real essence of literature? I am asking this question since I have seen that currently the trend is to write more market-oriented novels in the thriller genre, with less literary flair and more glossy storytelling with fast-paced narration? What is your take on such fiction? Dr. AV Koshy: Silhouette Sequel is cerebral, it is also fast paced even for those who don’t get the allusions, but it is meant for a niche audience. As for the collaboration, Santosh’s lovely story really inspired me– that is why I took it on. The trend is always to write what is more popular and we fight against it as we are naturally trying to write at a higher level, nothing can be done about it. Popular fiction has its place as people do want light reads but no reason why we should compromise and be less demanding in our writing of our readers and not stretch them as I have done in my story in their capabilities. Lopa Banerjee: If I give you the choice to pick and choose the most poignant and remarkable stories in the collection apart from the title story ‘Silhouette’ by Dr. Santosh Bakaya, which stories will come to your mind? Dr. AV Koshy: Well, this may be biased but Joanna Koshy’s story stands out for me as does the stories of Angela Gamos, Dominic Francis and so many others including Reena’s snake story. The question is a bit unfair actually as the truth is, we got only good stories and all matter, though some may matter more to some and some to the others. A reader of mine loved your story Lopa. I loved Aiswarya’s too and Daipayan’s and Gorakhnath’s and, well, as editors we liked all, or we would not have taken all. Michele’s is very fine writing. Michele Baron: Our authors provided much inspiration to the editors, from stark stories of survival to fanciful presentations of alternate realities. “Dreams and Reality” (Rhiti Bose), “Destiny Meets Me” (Anindita Bose), and “Beauty Revised” (Soumya Mukherjee) combine with “Survival of a Stripper (Angela F20cc), “A Bottle of Vinegar” (Fatima Afshan), and “Moon River Debris” (Vineetha Mekkoth) with flair and promise — a promise further extended and expended by all the participating authors of Silhouette I & II. Lopa Banerjee: What has been the publishing journey of this anthology with Authorspress, one of the scholarly and literary publishers based in India? Authorspress in the recent few years has been quite known to publish literary works in India which are sometimes avant-garde, experimental and out of the mainstream in terms of their subject matter and writing. Who would be your readers of this anthology of selected fiction, now that the book has found a home in the Library of Congress, USA? The usual fiction readers in India and USA, or the more discerning readers who understand and appreciate quality literature? Dr. AV Koshy: Absolutely, without Authorspress we would be nowhere or nothing. I hope we find quality and appreciative and discerning readers but nowadays it is tough with an anthology coming out every day literally. I do want to thank the publisher for arranging a beautiful launch for us in Delhi, especially, apart from bringing this book out in such a fine manner. Michele Baron: I defer to my co-editors, who have greater tenure, training, and accomplishment as scholars, educators, critics, and authors of writing. Lopa Banerjee: Short stories written since the times of classic English fiction writers like O. Henry, Guy De Maupassant, Earnest Hemingway and Teo Tolstoy have been the celebration of the tiny windows in the lives of their protagonists which have been delectable for their engaging narratives in spite of the precision in their scope of storytelling. In the Indian subcontinent, authors like Premchand, Rabindranath Tagore and others have excelled in this art of storytelling, as did some Indian authors in English including R.K. Narayanan, Mulk Raj Anand, Vikram Seth, Jhumpa Lahiri (diaspora category) and not to forget, Khushwant Singh. Do you think some contemporary fiction writers have the same sharp literary attributes, though they may not be as renowned as them, presently? 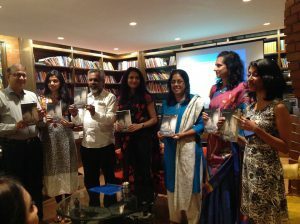 Dr. AV Koshy: Definitely, Lopa, but no one will believe it till we get awards and are written of in critical studies which is how we enter the mainstream and also till we are found in book stores and appear on syllabuses – we just need more validation. Michele Baron: People find their points of reference not only in looking to the past, nor, alone, in standing upon the shoulders of the greats, to gaze into the still-nebulous future. I think contemporary readers, and readers of the future, might, indeed, discover that some of the short fiction written in these times, some among the contemporary “college” of authors, do possess the acuity and appeal of the “timeless” authors who have preceded us. Lopa Banerjee: As founder and admins of the Facebook literary group, The Significant League, you have instituted the International Reuel Prize in poetry, fiction and translation and also literary criticism which is in its fourth year in 2017. Can you tell me a few words about the significant milestones achieved in these four years as a part of this literary group and what is your vision for the International Reuel Prize and its awardees in the coming days? Dr. AV Koshy: We are building step by step and stone by stone but the awardees have done well. Very well. All of them have carved a niche for themselves now, and how they leverage it in the near future is up to them. 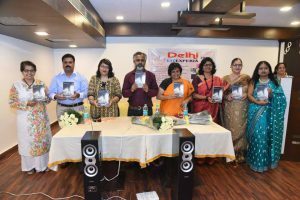 The milestones are introducing it for poetry, expanding it to other genres, and keeping its special thrust for differently abled people also alive. It is an activist prize. We try to be impartial and fair and give new comers a chance and I don’t really see others doing that as much in my opinion. Lopa Banerjee: Finally, what would be your message to the aspiring south-Asian writers trying to break in the contemporary literary marketplace? Dr. AV Koshy: Get proper contracts, get into bookstores, use literary agents if need be, get awards, be on it all the time but don’t forget that ultimately the content and style and form of your language is what matters. Michele Baron: We are an internationally-educated, internationally-located writing group, and yet we form a neighborhood, small enough that we recognize names, become familiar with the styles, and begin to be somewhat jocular in our online commentary and support of our fellow authors. We do have contributors in other tongues and alphabets, but the language of our publications remains English and its jargon and vernaculars. It is interesting to be something of a migrant among people (as I seem to be). Market demographics target specific groups, and attach labels and priorities which writers, themselves, might not discern as relevant during the process of inspiration, creation and publication. As humans, we experience hopes, fears, disasters, and dreams. Some of our journey is informed by our origins, race, religion, education, and access; some of it is general to all of humanity. As far as my message to the aspiring south-Asian writers trying to emerge in the contemporary literary marketplace (or to survive the slings, arrows, and edits of time, and be “discovered” in some distant future) is concerned, I would say, to any, as to each, be true to your experience and capacity to conceive, and create, a coherent piece of writing. There is plenty of ‘formula’ writing available, and I suppose it is profitable to those in the ‘formula’ slip-stream, but the vitality and veracity of the art, for me, is in the purity of the need to give voice to thoughts and experience. Whether through written word, spoken word, music, visual arts, or other performance arts, the light of truth which can unite heart, mind, and the intangibles of being are what I find most inspiring, and most necessary to writing. This probably makes me an anomaly, something of an outsider to the “marketplace” of writers, of writing. It would be lovely to be successful. People do strive for excellence, thirst for recognition, after all. That an internationally-authored anthology of writing, such as Silhouette I & II, has emerged from indie ranks to its seat on the shelves of readers in private homes, and included among the many noteworthy works in the US Library of Congress archives is a wonderful thing — to writers of south-Asian origins, or of, any, all, nationalities. I would also add to this, write, listen, and write some more. Find your voice, and present it, and your stories, to the world. With thanks to anthologies such as Silhouette I & II, the world will have its chance to discover, and read, your writing. The future will proceed from there, if you keep writing. Dr. AV Koshy is an Assistant Professor at the Department of English at the College for Arts and Humanities for Girls, Jazan University, Kingdom of Saudi Arabia, a widely published poet and Pushcart-nominee, literary critic, fiction writer, editor and anthologist. He has won many prizes and holds many positions and awards as a writer. He is the founder of The Significant League, a vibrant literary group in Facebook, has instituted the Reuel International Literary Prize in 2014 and runs an autism NPO with his wife Anna Gabriel. Michele Baron is a world traveler, former Fulbright Fellow who currently lives in Kyrgyzstan. She develops outreach projects, writes poetry, prose, nonfiction, has self-published A Modest Menu: Poverty, Hunger and Food Security, in Poetry and Prose; and A Holiday Carol, and blue wings unfolding at Amazon.com; and is a visual/performance artist, among other occupations. Lopa Banerjee is an author, poet and translator, a Journey Awards winner of Chanticleer Reviews 2014 and Honorable Mention awardee at the Los Angeles Book Festival 2017. She is currently based in Dallas, TX. In “Night of the Fiestas” (W.W.Norton, 2015), Kristin Valdez Quade explores the complicated question of class and race in contemporary America — a double-sided coin of fascination and, often, disdain. Her characters might be separated from each other by socio-economic chasms, but their lives touch in intimate ways. The socialite is set against the striver, the climber against the arrived, the ambitious against the complacent, employer against employee, the well-adjusted against the malcontent. The sparks set off by these interactions awaken Valdez’s characters to their demons and disappointments, leaving them stunned and humbled by the consequences their own actions unleash. In several of the stories in this collection, we see the artlessness of the protagonists and how their blundering, all-too-human over reaching comes back to haunt them. In “Cannute Commands the Tides”, Margaret, an older woman, dissatisfied with the mediocrity of her artistic achievement, becomes enamored with her cleaning woman, Carmen. Her dreams of emancipating and understanding Carmen end in violence and shock when the latter’s no-good adult son shows up at her home with a gun. Margaret becomes an escapee from her own mansion, a disappointed Cannute watching from the driveway, as Carmen tends to her abusive, criminal son, “the two of them as destructive and unstoppable as any force of nature”. In “Jubilee”, Andrea, is to all concerned, the ultimate achiever. She is the daughter of working-class New Mexican parents. Her father owns a taco cart and has worked, all his life, in some capacity or the other in the fruit orchards and home of the wealthy, landowning Lowells. Andrea is admitted into Stanford on merit, and in her cohort is Parker Lowell, the daughter of her father’s employer. Every interaction between the two girls – including Andrea’s recollections of her childhood with Parker — is shrouded by the narrative of Andrea’s life, a narrative constructed by herself and skewed from having grown up in the shadow of the successful Lowells. In the face of Parker Lowell’s innate sense of ease, her beauty, her ‘whiteness’, and the many gifts of privilege she enjoys without question, Andrea is and will always be no more than a striver and an outsider. Andrea’s alienation is intensified from her notion that however hard she works and despite the professional success she knows will come to her, she was born to none of it. In this very keen revelation, Quade questions the truth of what is at heart a uniquely American theme — that of democracy and self-determination, of inventing one’s destiny in a society founded on the fruit of individual effort, free, as its immigrant beginnings would suggest, from the class and caste structures of the old country. Yet in Andrea’s struggle with class and race, Quade identifies our near-universal hankering to share a seat with the blue-bloods, and our instinct that it is more elegant or desirable, somehow, to be born into privilege than to earn it. At the jubilee celebration that the story takes its name from, Andrea’s interactions with Parker are alternately awkward, manipulative and finally, damaging. One of her earliest memories is of Mr.Lowell yelling at her when he catches her plucking blueberries in the orchard. No doubt, it is a memory altered by Andrea’s resentment of the Lowells. At the end of the story, a chastened Andrea recalls that Mr.Lowell had not yelled at her, and instead had affectionately requested her to stop, and sent her away with a Coke. Having wounded both herself and Parker, Andrea returns to the orchard and plucks blueberries frantically. It is ironic and yet, not surprising at all, that the single activity that helps her escape her shame is the work of her parents and of her people – fruit picking. She returns to the work whose stain she has dreamed of erasing all of her life. Valdez Quade’s empathy and talent come through in the wisdom of this sentence that reveals Andrea’s need to obliterate her past and her actions, and if it were possible, her culpability. and he won’t come down. but my heart dreams of return. Like the face of Christ from life. no fear, no pain, no tenderness. I want to be that. I want to learn the faith of the indifferent. I have read this poem over and over again, loving it each time. I return to it like I do to many poems, because it provides an affirmation of my own feelings, my own condition at some point or the other. Like all good art, it mirrors pain rather than seeking to resolve it; it captures rather than critiques; it does not pretend to understand passion. It simply evokes the narrator’s exhaustion and sadness. “I want to learn the faith of the indifferent”. Peace eludes the narrator; even indifference will do in its place, he says. The line is ironic but also gives the poem its pathos–is there a greater tragedy than to want to be indifferent to life? When I read “Twilight”, these words came to mind—simple, direct, rapid. The black bear in an apple tree is a simple metaphor for the mind: dark, unknowable and unpredictable, cradled in branches that bear fruit, so full of color and life. “I can smell the stink of his body”. Cole does not mask the stink of the bear in more sophisticated language. The plainness of his language is intentional—and the intentionality is enforced in the rhythm and meter of the line, with the emphasis on the words, “smell”, and “stink”. Read it aloud to yourself, and see. Go further down the poem and you see that there is no pedantry, no flourishes, no poetic effects. If there is any conceit, it is only in the words “your postmodern sexuality”: how is sexuality postmodern? Everywhere else in the poem, our trust and attention are won over by simple pleas, and clear statements. Five lines that connote the contrasting states of suffering and satiety—the bear, sated from eating, turns away blindly, letting its tongue hang out, oblivious to the inner life of the narrator, in a gesture similar to the way that Christ on the cross turned away his own head, but with his eyes wide open, acutely aware of suffering. 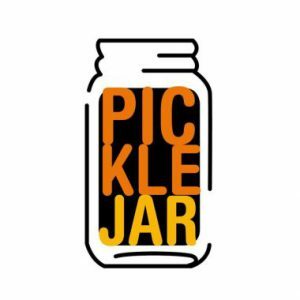 Pickle Jar – Community of Cinema Lovers! Pickle Jar is a Bengaluru based community of cinema lovers, who are bound by their passion for watching movies and their commitment to social issues. This community consists of members from different walks of life who, while holding full time professional roles, come together and conduct film festivals that leave a lingering taste and some happy memories long after they are over, just like a pickle! The community was founded by Vasanthi Hariprakash, a well-known Radio and TV personality in Bengaluru. Known for her vibrant enthusiasm and her passion for all things social, she says she thought of this group after reading an article by the well-known actress Shabana Azmi on her contemporary actress Smita Patil. While the article initially seeded only a thought to catch up on a Smita Patil movie, it eventually – on prodding by a friend – transformed into a bigger vision, why not get some more folks and see the movie together? And, that led to creation of Pickle Jar, a community that converses, co-creates and curates cinema. Their journey began in 2016 with a Smita Patil Film Festival, the first of its kind in Bengaluru in Ma y last year that was inaugurated by Shyam Benegal, and it was a huge success. It managed to enliven back Smita Patil into our lives and showcased her as a classic actress to the newer generation who had only heard about her. What made the festival different though was the conversations that made people reflect and think deeper, and of course left a lingering taste and memory long after it was over, much to their liking! Charged with the response they received, in November last year, they hosted the Hrishikesh Mukherjee Film Festival that had renowned actor Amol Palekar conversing and sharing many unknown nuggets on the one of the best film makers known for his simplicity. Much before Steve Jobs coined the phrase, Simplicity is the ultimate sophistication, Hrishikesh Mukherjee had lived it while making his films! Since its inception, the group has been progressing ahead and getting some nods, pats and applauds by some greats of Indian cinema like Shyam Benegal, Mahesh Bhatt, Amol Palekar TS Nagabharana, and some younger directors like Vikas Bahl, Raam Reddy and Suman Kittur. The next on the card for them is Travel Talkies, a film festival scheduled to be held later this month in Chennai (16 and 17 Dec), where they will feature some travel related feature films, must-watch documentaries and, short films from across the country. As always with Pickle Jar, the festival will be unique in quite a few ways. It intends to show 7 feature films in 5 Indian languages to show case the beautiful multilingual diversity of India. This time around, they are also planning to show some short films to showcase new talent. These travel-based short films will be judged by a renowned jury. And, most importantly will encourage and inspire women to travel solo and see the world! Entry to the show that is being held at Wandering Artist, Chennai is free. So, if you happen to be in Chennai for that weekend and are a travel and movie buff, you know where to go! Meanwhile I am so glad that my city Bengaluru, largely known as a Startup city in the IT industry, is transforming itself to be art, culture and literary hub too, with such fledgling initiatives like Pickle Jar. Swapna Narayanan is an author of short stories and poems currently based in Bengaluru, India. Interviewing Dr. Santosh Bakaya, Author of Where Are The Lilacs, a collection of poems on restoring peace and harmony. With her stupendous poetic treatise Ballad of Bapu (published by Vitasta, 2015) on the life and times of the father of the nation and the advocate of the non-violence movement, Mahatma Gandhi, which is an effervescent poetic treat to even those who have not been Gandhiji’s staunch devotees/followers, Dr. Santosh Bakaya’s foray in the literary arena of Indian writing in English has not been any less phenomenal. I was introduced to her brilliant, evocative body of work through The Significant League, a vibrant literature group in Facebook from where she had received the International Reuel Prize for Writing and Literature in 2014, and have been humbled to know the silken flow of her words that meander like a never-ending cascade, with effortless ease in both prose and poetry. 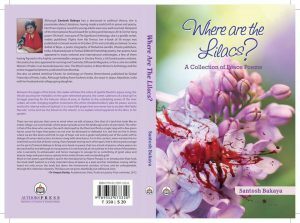 Where Are The Lilacs, another one of her notable poetry collections published by Authorspress in 2016, following the success of the critically acclaimed Ballad of Bapu is like a never-ending corridor where the birds of peace fly unabashed, challenging and enquiring the essence of the crushing reality of hate and devastation all around. Up, close and personal with the author, we get to know the spirited, erudite soul giving birth to this classic collection. We get to know what inspired her to write the poems of Where Are the Lilacs and what exactly defines the versatile body of her work. Dr. Santosh Bakaya is also the celebrated author of Flights From My Terrace, a collection of 58 evocative, soul-nourishing personal essays, published by Authorspress in early 2017. Lopa Banerjee: Dr. Bakaya, so nice to connect with you! After your phenomenal book Ballad of Bapu, the poetic treatise on the political and personal life of Mahatma Gandhi, Where Are The Lilacs, your collection of one hundred and eleven peace poems is making waves in the literary arena. What is your inspiration behind choosing these subjects for your literary work, whether it is the deep-rooted political philosophies of Mahatma Gandhi, or the poems of Where Are the Lilacs where you are a lyrical advocate of peace amid a savage, all-pervading landscape of cruelty? Santosh Bakaya: Well, I have time and again reiterated that humanity cannot do without the principles that Gandhi stood for – Truth, non-violence and peace. Martin Luther King Jr, had prophetically maintained, “Over the bleached bones and jumbled residues of civilizations are written the pathetic words,’ too late’.” Indeed, it is high time, that we chose between peaceful coexistence and violent co-annihilation. Let not that tide in the affairs of man ebb, let us seize it at the opportune moment. And the opportune moment is now. Or never. I have always advocated peace, be it in my classes, or through my words. The all-pervasive cruelty, where humans are killing each other with a cannibalistic glee is so nightmarish. Through this collection of peace poems, I have tried to emphasize, ‘the fierce urgency of now’. I have always raised my voice against injustice in any form and staunchly echoed King’s words that “injustice anywhere is a threat to justice everywhere”, and through my writings will hopefully continue to do so. Lopa Banerjee: What is the significance of the title of the collection, Where Are The Lilacs? What, according to you, are the Lilacs, hidden under the blanketed coat of the ‘bloody mess’ and ‘the discordant notes of the war drums’ which you have elucidated in the foreword/Author’s Note? Would you define the poems only as your reflections on the myriad ‘peace notes scattered around us’, which you mention in your Author’s note, or do you think in the hands of a sensitive, discerning reader, they would also serve as an antidote to the anguish and despair that destruction brings along with it? Santosh Bakaya: Well, the title of my book has been taken from Pablo Neruda’s heart – wrenching poem, “I’m explaining a few things”, where he talks of his beautiful house, bursting with geraniums in every cranny. This house of flowers was reduced to a ‘dead house’ in the aftermath of the Spanish civil war when the profusion of flowers in the garden disappeared, and the poet was left exclaiming, “come and see the blood in the streets”. Some of these poems I wrote, while gruesome scenes flashed on the television screen, some are cathartic endeavors, and others are prayers. I cherish the hope that one day, ‘the longed for tidal wave of justice’ will sweep away all violence and injustice from this world. When I write, my heart takes over, and my head sits pillion. Yes, there are myriad peace notes scattered all around us, but we are so obsessed with so many meaningless pursuits that we just don’t have the time to string these notes to create a soothing peace song. When I have recited my peace poems, I have seen people crying, and commenting about the futility of violence. When will all this end? They ask. Yes, it does serve as an antidote to the anguish and despair that destruction brings, but I feel, that if I can awaken people to the ‘fierce urgency of now’, my task will be done. Lopa Banerjee: In the very first poem of the collection, you write: “Ah, soft, the delectable petrichor/Wafts from the rain-drenched earth./In this birth is lost the stench of gore.” There is a very sweet lyrical flow in the poem which brings in the torrents of rain, ripping ‘the skies apart’. Then again, in the poem ‘The Moon Hums A Peace Song’, you present the moon as a corollary to this image of the rain, both being lingering metaphors washing away the insanity of bloodshed all around us. Would you say these poems are representative of the romantic poet within you who ushers in childhood fantasies to ward off the senseless demonstration of violence around us? Santosh Bakaya: Yes, they are escapist metaphors for me. Nature is always soothing, the moon, the sun, the stars are indeed an antidote to the insensate violence all around. Just as an infant’s thumb creeps into its mouth, when it wants to be soothed, similarly, I rush to these metaphors of nature. They instantly soothe me. Yes, I am a die-hard romantic, unabashedly indulging in these childhood memories. Many are the times, when the moon, walking the night in its silver sheen, has quelled the stormy turbulence in my heart and the twittering birds have silenced the churning and burning of the heart. Nature is my haven I scurry into, when confronted with the senseless violence around. Lopa Banerjee: The poems that follow carry the delicate lyrical images of ‘love birds’, ‘chirping and twittering’, the mermaid and the dolphins frolicking and traipsing by, ‘the chubby five-year-old’ boy clapping with ‘juvenile laughter’ to the mellifluous symphony of the rain, the blue balloon, ‘bloating with promise.’ How indispensable have these lyrical images been in the crafting of these poems? Santosh Bakaya: All these images are very important – they are not merely images but scenes which I have witnessed in the lanes, bylanes and thoroughfares of life. I can never erase the memory of that rag picker child, from my memory, who was chasing a bloated, blue balloon, his face sheathed in happiness, so pure, that it brought a deluge of tears. Small pleasures of life have the potential to make us happy, why hanker after material trinkets? Lopa Banerjee: The poems also seem to carry a very nostalgic air, along with a romantic refrain, which I sense, has come from your ineffable attachment with the natural landscape of Kashmir, your hometown and your childhood haven. For example, in the poem, ‘And The Fires Burned’, there are some lyrical associations of a young girl with the river Lidder, the boulder, the pine tree, the hyacinths and the nameless other flowers, as she reflects sadly on her father’s tragic demise. Again, in the poem ‘Magic Of The Peaceful Past’, you write: “Changing colour like autumn leaves/Floating around like snowflakes…” How has your association with the physical and emotional landscape of Kashmir shaped up a part of this collection? Would you say these delicately woven poems can also be virtual messengers of peace in the volatile reality that your hometown is facing for some years now? Santosh Bakaya: Yes, the condition of my hometown, known for its communal harmony, for its spectacular beauty, for the poetry of Lal Ded and Habba Khatoon, and for its Sufi saints, is pathetic right now, and no one seems to be bothered. I was not born in Kashmir, but we spent a lot of our childhood days there. I keep going back, to find myself cavorting next to the pines, inhaling the fragrance of the poplar- lined boulevard and watching the Lidder, the pebbles making love to the waves, and shepherds singing songs of peace. My heart bleeds. It bleeds for my hometown that is Kashmir. Yes, it bleeds through my poems. Lopa Banerjee: In your poem ‘Woman of Substance’, you write about Rosa Parks, the famous American civil rights activist and her daring defiance that pierced through the mindless segregation of a racist America. Any particular reason why you chose to include this poem in the collection? Is it because you opted to extend your voice towards any kind of social injustice that has shaken the core values of a world besotted with inequality and intolerance? In this anthology, I have tried to include poems, which talk of injustice. By refusing to stand up in the segregated bus, to make place for a white passenger, Rosa Parks, on 1 December, 1955, stood up not only for her beleaguered community but for the entire human race. She stood up for peace and equality. Her one brave step created a revolutionary storm in the world. Peace means inequality, intolerance, fairness and justice. Call me naïve, but I earnestly cherish the hope that maybe “someday, “in the deserts of the heart”, the healing fountain might start? Lopa Banerjee: The poems of the collection are evocative enough to compel the readers to look back at the tragic moments of loss and devastation, while also taking in a fistful of hope and happiness that comes with the closure and the catharsis that humanity derives from the warfare. For example, in the poem, ‘The Colours of Love’, the “two sparrows appear/Hopping cheerily on the branch of a dead tree”….and then “The two lovebirds fly away/To the golden gates of their paradise…To awaken the next dawn.” Also, in the final poem of the collection, ‘A New Year Dawns’, you write about the soft, soothing radiance of the euphoric dance of a new dawn, a new year. What has inspired you to portray these binary feelings of reflecting the dark and miserable, and also the lullaby-like, wistful, hopeful poems, that fit so well into this poetic narrative of peace? Santosh Bakaya: In this topsy – turvy world, the good, bad, the ugly all go together. There is pain, devastation, selfishness, and there is also love. Being a die-hard optimist, I staunchly believe in the power of love, and hope that the uninhibited and continuous flow of love, will one day drown the rampant cacophony of hatred and lilacs will again bloom. Poets like Pablo Neruda will not expect us to ask, and where are the lilacs? Bandits will not come through the skies to kill children and the blood of the children will not run through the streets. Gunfire and blood followed the Spanish civil war when the smiles, the brilliant hues, the vibrant life, the flowers, the cavorting children all vanished, and Neruda was left with the bruised notes of this heart- wrenching poem, from which I have taken the title of my book. Why should humans fall over humans with cannibalistic glee? Why indeed! Lopa Banerjee: You write about the Kalashnikov in your characteristic heart-wrenching expressions in the poem ‘Such A Cruel Thing This Kalashnikov’: “Ah, It is small in size/But severs all earthly ties/Plays dangerous games/And is obsessed with changing names.” Would you say that Where Are The Lilacs is meant to be an eye-opener for the perpetrators of war and turmoil, as much as it is for the young children born into this world, who, you hope and wish, “do not have to ask Santa for bullet proof jackets, a world where childhood is a synonym for happiness”? What would you have to say about the book as a legacy for them? Santosh Bakaya: Well, I have always maintained that hatred is corrosive, hatred cannot beget love, and only love can beget love. The war – mongers have always scoffed at the peace –lovers, contemptuously calling them peaceniks, and heaping venom at them. It is not for me to say whether this book is a legacy for the children, I can only say that I have poured my anguish and my despair in this book, and the hope that someday, humanity will realize the colossal folly of being inhuman, and our children can move around without any fear. War in any form is bad, how can the bludgeoning on innocence, strangulating of juvenile dreams be justified? Lopa Banerjee: I remember you stating in an interview regarding another book of yours, which Reena Prasad, poet and editor too, mentions in the foreword to the collection: “I did not have to make any conscious effort, these slivers of memory just erupted from the subterranean depths, fitting into the narrative smoothly.” How true are these words about this particular collection of poems? I guess at least some of the poems here have evoked the sense of a vibrant nostalgia of idyllic times gone by as you have depicted a cramped apartment, the hushed innocent sleep of an infant, the anguish of an old woman who had ‘borne many a slingshot’. What part does your memory play here, vis-à-vis the depiction of the metaphorical truth that is a poet’s biggest tool? Santosh Bakaya: Yes, the nostalgia is always there. Always. I have had a wonderful childhood, loving parents, who showered us with love, without pampering us. It is the untrammeled flow, the frothy effervescence of love that can keep the world going. Hatred will destroy this world, making us go back to the Hobbesian state of nature, which was ‘nasty, brutish and short’. Lopa Banerjee: The phenomenal poet Robert Frost had famously said about poetry: “A poem begins as a lump in the throat, a sense of wrong, a homesickness, a lovesickness.” You have authored two poetry collections, ‘The Ballad of Bapu’ and ‘Where Are The Lilacs.’ Many of your poems have found home in national and international anthologies, journals and e-zines, and also, you have been a featured poet in Pentasi B World Friendship Poetry. Besides, you have received the International Reuel Prize for literature in 2014. As a renowned advocate of poetry, what is your take on these words of Frost? Santosh Bakaya: Yes, I do agree with Robert Frost, as many of my poems have begun as a lump in my throat, followed by a crushing sense of rampant injustice. The bludgeoning of innocence, the sufferings of refugee children, and devastated mothers, have always brought a lump to my throat. Nostalgia has always been a part of my poems, nostalgia for the times when it was joy to be alive, nostalgia for the times when chasing kites and butterflies was a serious preoccupation demanding single-minded concentration, and plucking guavas from the neighbor’s garden was the happiest pursuit on earth. Yes, homesickness has also been a recurrent theme in my poems. Home is definitely where the heart is, so at times, I feel as if I have left my heart behind in the flowerbeds, the rockeries, the terrace, the garden of my childhood, and I keep revisiting them through my poems. Although I hail from Kashmir, I was not born there, yet, I keep going back to scrape my roots there, and am happy to find myself still thriving there, under the overgrowth. Yes, I yearn for a profusion of love in this world so that all the hatred, animosity, ill- will and rancor is buried deep under this deluge. Yes, I am love-sick, forever craving for love to replace hatred. It was indeed a precious moment for me, bringing home to me the power of love. That poor orphan had nothing to give me, just his eloquent bony arms which spoke the language of unadulterated love. It is not too difficult to give love, and I have a fervent hope that the white dove flying diffidently in the petrified skies, will one day gain a sure-footedness, and strike a chord in hearts sequestered in hate, and those hate – clogged hearts too will burst into peace songs. ‘Where are the Lilacs?’ is available in Amazon India, Amazon.com, Flipkart and in the website of Authorspress India. Lopa Banerjee is an author, poet, editor and translator based in Dallas, Texas. She has co-edited two books with Dr. Santosh Bakaya, ‘Darkness There But Something More: An Anthology of Ghost Stories’ and ‘Cloudburst: The Womanly Deluge’, a poetry anthology with 28 contemporary women poets of the Indian origin. Michael Pollan in his show ‘Cooked’ talks about how human beings are the only species that cook their food. He explains how cooking is responsible for our evolution because we spend less time chewing because of cooking. While the science of cooking seems very fascinating, I believe that cooking is a very fine art form and our mothers, grandmas, aunts and everyone who ever cooked for us are artists. I was very pleasantly surprised when one of my very good friends Shirin Subhani started a Facebook Page called ‘Shirin’s Kitchen’. She was teaching Indian cooking classes at her home and I found the whole concept extremely captivating. Shirin comes from a Computer Science background and it seemed to me like she was following her heart as she cooked and celebrated Indian Food with her adopted city of Seattle. Zohra: Shirin, it is a pleasure to be talking to you via Jaggery. Thank you for taking time off your busy schedule and talking with me. Could you start of by telling us about your journey – about how your path led you to Shirin’s Kitchen? Shirin: Zohra, I am very excited to be sharing my story with your readers. Thank you for this opportunity. For as far back as I can remember, I’ve really enjoyed having friends over and sharing meals with them. When my older son started Kindergarten seven years ago, it was at a very special school where I found myself in a lovely community with wonderful families and loving and dedicated staff. I started inviting other parents and teachers home, and cooking for them. They received my food with a lot of appreciation and love, and it inspired me to cook more. A few of them were interested in learning how to make Indian food so I started having them in my kitchen and teaching them some of my favorite dishes. As I did this more and more, I realized how much I was enjoying the experience, and so were my ‘students’. Many of them encouraged me to formalize the process more and assured me that there were others who’d be interested in learning to make Indian food. With their loving support and motivation, I started Shirin’s Kitchen. Zohra: Thank you for that Shirin. It’s quite wonderful to realize that there are people out there that seem to be not only interested in eating food but making it too! Seems like you have a very good community of enthusiastic cheerleaders encouraging you amongst your community. I can see where your passion and love for this comes from. So, what do you love most about what you do? Shirin: Yes, I am very grateful for all the support and love I have been blessed with! I came up with the tag line Connect-Create-Celebrate to describe my cooking classes and the combination of these three aspects is really what I seem to love the most. Connecting with people, Creating delicious and nutritious food together, and Celebrating our efforts by sharing a meal. I also send people home with little spice boxes (masala dabbas), which include all the needed spices for the dishes they learn to make, including some of my own homemade spice blends and it gives me a lot of joy to put these boxes together. Witnessing people getting more comfortable with new recipes, sending them back with spices, and then hearing back from them that they’ve recreated those very dishes in their own kitchens makes me really happy! Zohra: That’s very nice Shirin. You had mentioned to me earlier that one of your favorite food-based novels is Chitra Divakaruni’s ‘Mistress of Spices’. Any other inspirations? ‘Mistress of Spices’ so beautifully captures the essence of so many Indian Spices; as I delve into the magical world of spices myself, Divakaruni’s words are a beautiful inspiration. Recently, I started reading chef Vikas Khanna’s books as well and am enjoying his journey with spices as well. His beautiful cookbooks, descriptions and stories are very inspiring. ’Bliss of Spices’ is what’s on my shelf right now and I am learning so much from it! I also have a couple of wonderful websites which I like to look at for recipes and recipe ideas, including my favorites – Veg Recipes Of India with very helpful photo instructions for each step and Monsoon Spice, with beautiful photos and stories! On that note, I want to ask you what plans are cooking and what can we smell in the future in Shirin’s Kitchen? My classes are still new and so far, most of my students have been friends and friends of friends. This has been a great experience and I feel ready now to also welcome new people to my kitchen, people who are completely new to me, and cook with them. I recently started cooking with kids as well and loved that, so look forward to more kids’ classes as well. Currently, I am in the process of completing a series of guest chef classes, where I invited other friends and family who love to cook to come in and do special classes. I get to learn a lot from them too. In my last class, I had my friend Deepa Hazra who taught us Bengali dishes from her hometown Calcutta. She taught dishes using vegetables like Bitter Gourd, Drumsticks and Plantains, vegetables that I don’t commonly cook with. It was a great learning experience to cook outside of my comfort zone. I am hoping that I can do more of these guest chef presentations and also expand my students and my horizons. Zohra: That sounds very exciting. I see that there seems to be a lot of planning in your classes. I think there was one time where you did South Indian breakfasts like Idli, Dosa, Wada etc. Another time where you did Rice dishes. Where do you get your class/recipes/ideas from? Shirin: A lot of class ideas come from people telling me what they want to learn. Others are based on what I think would be fun to teach. Many of my recipes are based on what I’ve learnt from my mother or my mother-in-law. My sons are pretty picky eaters too, so I’ve had to get extra creative with my recipes to appeal to their palates. Zohra: It is quite heart-warming to see that your family seems to be supporting your venture. I think one time your aunt did a class too. How do your kids and your husband react to Shirin’s Kitchen? Shirin: My kids seem to love the fact that I do cooking classes and it was my little one who encouraged me to get going with Shirin’s Kitchen. They love that their friends and teachers are learning to appreciate and cook Indian food and seem proud of their mom for enabling that. My husband is a good cook himself and I am looking forward to doing events with him in the future as well, our very first Date Night cooking class is coming up soon where we will be co-teaching. Zohra: Very nice. Basically you are not only bringing the whole of Seattle together but your family as well. Great work Shirin. Tell us, as I am very interested to know and I am sure our readers are as well, as to how non-desis react to Indian food? Do they find it easy/hard to cook? Do they enjoy the process or get overwhelmed sometimes? I love how much people seem to love Indian food! The different vegetables, the spices, the completely different ways of cooking the same dish, the colors, the flavors, the smells, all of it makes for a wonderful and fun experience. Sometimes people do start off a little intimidated, especially by the number of spices involved but my job is to make them relax, help them see spices as friends and learn to pay attention to and trust their senses. One of my challenges is that I don’t measure things typically and my students are often used to exact measurements so look for those. Encouraging them to add a pinch of this, a handful of that, and taste and adjust as you go can be hard at times, but they do slowly lean into it and end up getting comfortable with the idea by the time they are done. Zohra: Wow Shirin, that is so wonderfully put – “help them see spices as friends and learn to pay attention to and trust their senses”. I am sure there are many experiences and things that happen in the kitchen. Any interesting anecdote(s) you want to share that happened in Shirin’s Kitchen? A couple months ago, I was setting up for a class where two of my students were going to be folks I had never met before (friends of a friend). It was almost class time and I was running terribly behind. It had been a somewhat chaotic morning with the kids and my kitchen was in somewhat of a mess. Typically, I have everything all neat and tidy, stations all set up, and chai and snacks ready at the table before folks arrive. On that particular day, I was far from ready when there was a knock on the door. I took a few deep breaths and decided to embrace the chaos. Instead of apologizing, I welcomed the two ladies with, ‘I have a special treat for you today. You’ve already seen my kitchen picture perfect on Facebook, here you get to see the behind the scenes version, the setup process in action!’ The women had big smiles on their faces and told me to relax and take all the time I needed to setup. They were in their sixties, friends for 35 years, having met each other because their kids were in preschool together. ‘Our kids got over us but we never did,’ they shared. Between lots of laughs and loving conversation, I got my kitchen all sorted out and set up and probably served one of my best cups of chai that day! They loved the entire experience and never having cooked Indian food before, embraced the new dishes and touched my heart with the openness and excitement with which they paid attention to and enjoyed every small thing. I have stayed in touch with them and look forward to having them back in my kitchen soon! Zohra: What a fun story! Shirin, I read some of the reviews that people who took your classes left on your FB page and have gathered that you have come up with a very creative structure to your class that starts with chai and ends with a meal. Typically, how many hours do you spend on a class? Could you explain more about what happens in a typical class? Also, I would love to know what your favorite snacks/dishes are? You remember the tag line I mentioned earlier – Connect, Create, Celebrate? That pretty much defines the structure of my classes. Each class typically run up to 4 hours long. The session starts with everyone sitting around the table and connecting over a cup of my adrak chai and other munchies, usually comprising some of my own favorite childhood snacks. As folks sip their chai and get acquainted with each other, I familiarize everyone with the dishes they will be cooking and answer any questions they may have. I ask folks to pick the dish/dishes that jump out at them and choose what they would like to make. By themselves or with a partner, they then start creating. Doing all the prep and then all the cooking, each person is responsible for their dish from start to end, with me watching over and guiding as needed. Once all the dishes are made, we eat a meal together, enjoying the fruits of our labor! As we eat, I introduce them to their masala dabbas and each spice in the dabba that they will be taking home with them. As for my favorite snacks and dishes, they seem to keep changing all the time but some of my all-time favorite snacks with chai are Parle-G and Bourbon biscuits. I have to be careful with them because I can easily finish entire packs, dipping them into my chai one at a time! I love any dishes that are paneer-based, Saag Paneer is something I can eat all the time, especially with Zeera Rice. I recently learnt how to make Paneer Makhmali and really enjoy that as well. And of course, any kind of Raitas are right up there among my favorites also. Zohra: Thank you Shirin for that wonderful tete-a-tete. It’s amazing to see what all you are doing and the kind of experiences you are having in Shirin’s Kitchen. It seems like you are bringing together so many people (and your family too) in sharing the happiness of making food that you love for the people that you love. We at JaggeryLit wish you all the success as you move forward, and I hope to do an interview with you after you are finished establishing Shirin’s Kitchen Empire. I look forward to speaking with you again. Good Luck! Shirin: Thank You Zohra, this was a great opportunity for some pause and reflection. Hope your readers enjoy reading about my adventures.